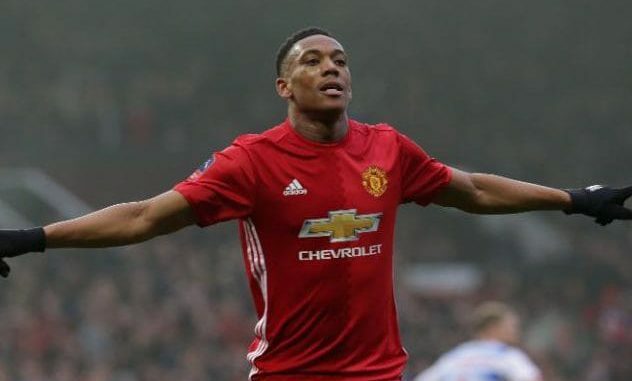 Manchester United manager Jose Mourinho has provided a positive update on the fitness of Anthony Martial following the club’s recent Premier League clash against Arsenal at Old Trafford. The Red Devils went winless for the fourth league game on the bounce as they could only muster a 2-2 draw against Unai Emery’s team on Wednesday night, but there was a positive on the individual front with Martial netting his eighth goal of the campaign. However, the Frenchman’s fitness became a potential concern after he was benched after the hour mark with a possible knock but Mourinho has now clarified that the attacker’s substitution was only a precaution to avoid a future injury. The news should come as a relief for the United supporters, given the Frenchman has probably been the sole shining light in the past few months where the club have struggled to keep up pace with the top-four positions. Nonetheless, the next step remains to commit the Frenchman to a new long-term contract and it will be interesting to see whether any progress is made during the festive period with the attacker’s existing deal expiring in seven months’ time. At present, the 23-year-old would be free to discuss a pre-contract with an overseas club at the turn of the year but United have the chance to restrict any approach by triggering a 12-month extension clause available on the forward’s contract.